Did David Hogg really graduate from high school in California? Following the fatal mass-shooting at Marjory Stoneman Douglas High School in Parkland, Florida, conspiracy theories about the shooting and some of the survivors have set the Internet ablaze. One of the most recent claims is that survivor David Hogg graduated from Redondo Shores High School in California in 2015. Obviously, if Hogg graduated in 2015 in California that would make it hard for him to be attending school in Florida at last week’s shooting. So how exactly did this rumor begin? Like many false rumors before it, it started on social media and went viral due to such a lack of fact checking what information shared out in high volumes. While the Laguna Beach Antifa tweet was going viral, an image of Hogg on classmates’ began gaining its own viral attention on Facebook. 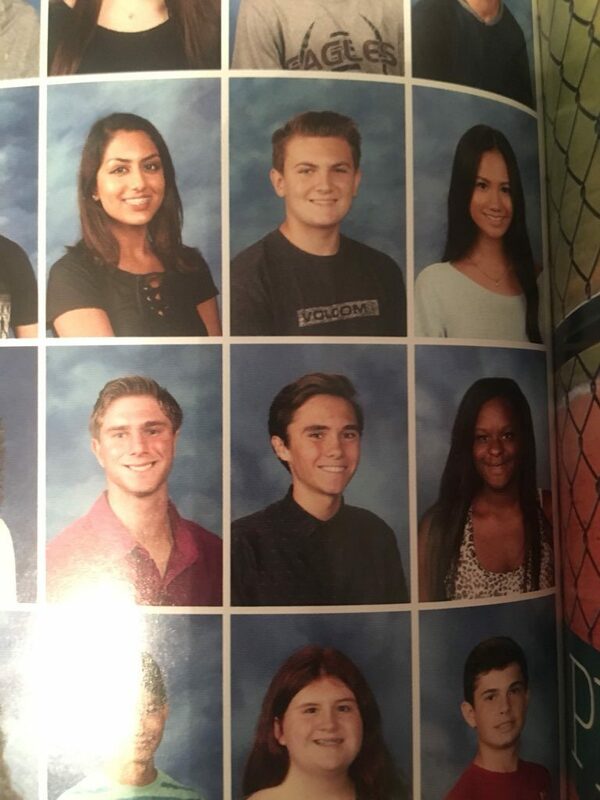 According to the screenshot from classmates’, David Hogg graduated from Redondo Shores High School in 2015. Before you believe this is the proof needed to bust Hoggs, The Daily Haze created an account on classmates’ that shows it graduated from Redondo Shores High School in 2015. There is no verification process when creating an account on classmates’. It should also be noted that multiple accounts were recently created with the name “David Hogg” in the same class. If you still feel like there is a chance that Hogg did attend high school in California, we saved the best for last. A student from Marjory Stoneman Douglas High School showed his 2017 yearbook, which completely debunks the claim. The Twitter account, @_Joey_Wong, decided to post a video opening up the yearbook to Hogg’s page. It is clear that it is the same yearbook page being shared on social media. Along with the video, the Twitter user also posted an image of the cover of the yearbook. Many conspiracies are circling Hogg, but at this time it is clear that he did, in fact, attend Marjory Stoneman Douglas High School and was in the 11th grade in 2017. Be careful what you share on social media, seeing several memes is not considered doing diligent research.